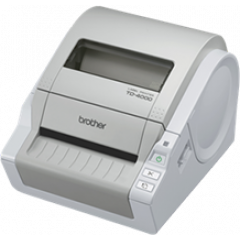 Brother TD-4000-4100 Series Label Printer	Professional Wide Label Printer Printing labels up to 4”/102 mm in width, and at a speed of up to 110 mm/second, these two fully featured machines also offer a built-in cutter as standard to avoid the need of a cumbersome tear-bar. Furthermore, you can create labels of any length, from 25 mm right up to 3 metres, by installing a continuous label roll and cutting to the correct size. 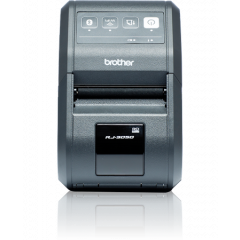 Brother PJ-600 Series Receipt Printer	The Brother PJ-600 series mobile printers feature high-quality printing for applications that require the best output for text and graphics. 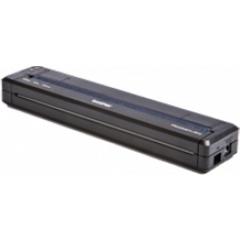 The PJ-600 series printers, with a choice of 200 dpi or 300 dpi resolution, provide a high-quality output while helping to lower the cost of mobile printing. 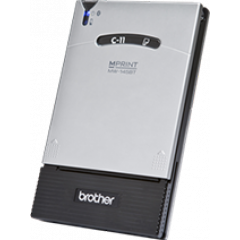 Each printer comes standard with USB 2.0 and IrDA interfaces, and a Bluetooth wireless technology interface is available as an option. 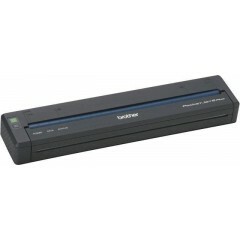 The PocketJet 6 mobile printers also have a number of advanced features to help improve overall performance: optional Lithium-ion battery for increased battery yield and longer battery life, Bluetooth Imaging Protocol support for downloading and printing JPEG files, the ability to store document overlays in the printer to minimize data transfer, and full-featured design software for creating and downloading the document overlays. 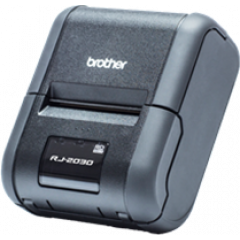 Logiscenter is een referentiepartner van Brother Nederland. Dit partnerschap met Brother stelt ons in staat u de beste prijzen, voorraden, leveringen en technische ondersteuning aan te bieden. Brother is een belangrijke leverancier van kantoorartikelen. 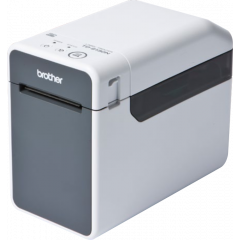 Biedt veel producten zoals industriële printers, draagbare printers en diverse verbruiksartikelen. 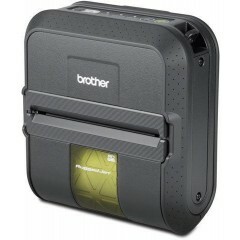 Brother is ook een leider op het gebied van elektronische etikettering.